7.4. 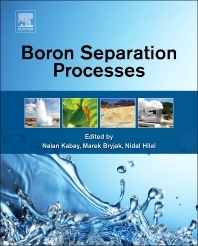 Linear Boron-Chelating Polymers and Their Use in Polymer-Enhanced Ultrafiltration: What is the Idea Behind It? Professor Nalan Kabay has been working at Chemical Engineering Department, Faculty of Engineering of Ege University, Turkey since 1994. She graduated from Ege University and received her PhD from Kumamoto University, Japan in 1992. The title of her PhD thesis was on “Uranium Recovery from Seawater using Light Crosslinked High Performance Chelating Resins” and supported by Japanese Government Scholarship (Monbusho). She worked as a post-doc between1998-1999 at National Institute for Research in Inorganic Materials-NIRIM, Japan by a support of Science and Technology Agency of Japan. She visited Chemical Engineering Departments of Loughborough University and Imperial College, London, UK for several times through the grants for Royal Society, EPRS and British Council as visiting scientist between 1996-2008. 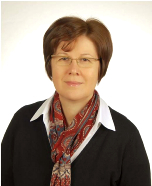 She was former Vice-Dean of Engineering Faculty of Ege University between 2003-2009, former member of steering committee of Engineering Research Group at Turkish Scientific and Technical Research Council (TUBITAK) between 2003-2007. Prof. Kabay has around 100 SCI papers and was acting as guest editor of special issues of 7 SCI journals (Desalination-Special Issue on Boron Removal from seawater/geothermal water and wastewater, Solvent Extraction and Ion Exchange-special issues for W.Hoell and M.Cox, Reactive and Functional Polymer-special issues for F.Helfferich and Dr.R.Kunin and Environmental Geochemistry and Health-special issue on Safe Water Production), editor of 1 book on “The Global Arsenic Problem: challenges for safe water production”. She wrote 2 book chapters. Last one on Sorption-Membrane Hybrid Processes will be published in Encyclopedia of Membrane Science and Technology. She is member of editorial board for 3 SCI journals (Desalination, Journal of Chemical Technology and Biotechnology, Ion Exchange Letters) and 1 national journal (Ekoloji). Prof. Kabay was involved in 15 international projects; 30 national projects. She gave more than 50 lectures at different institutions and conferences as invited in Japan, Europe, India, Australia, Israel, Russia, Ukraine, S.Africa, Abu-Dhabi and Chile. She supervised 40 graduate students on water/wastewater treatment issue. She has got the following awards: TUBITAK-science promotion award in engineering field (2001), Canon Foundation in Europe Award (2001), SCI-IEX Award (2012). Professor Marek Bryjak is working at Wroclaw University of Technology since 1982 where he graduated in 1977, received his PhD in 1982 and awarded DSc degree in 2001 for studies on application of polymers to separation processes. He underwent post-doc fellowship at Centre for Surface Science, Lehigh University USA in 1989-1991 and later visited universities in Chile, Czech Rep, Germany, Hungary, Italy, Japan, the Netherlands, Portugal, Russia, Slovakia, South Africa, Spain, Turkey, UK, Ukraine and USA. He was the Head of Department of Speciality Polymers and Department of Polymer and Carbon Materials. He was the President of Membrane Section, Polish Chemical Society and was one of the initiators of the Permea conference - the meeting of academia and industry membranologists’ from Central European and other countries. He is the member of European Center for Innovation and Technology and Center of Advanced Materials and Nanotechnology. Professor Bryjak authored and co-authored about 70 scientific papers, 6 chapters and edited two books. He supervised 5 PhD and 75 MSc theses, gave about 60 invited lectures and participated in 12 projects. His scientific interest is focused on development of methods for formation of polymer membranes or/and their surface modification (preferably by plasma treatment), preparation and evaluation of new separation materials, and implementation of these materials to water technology.